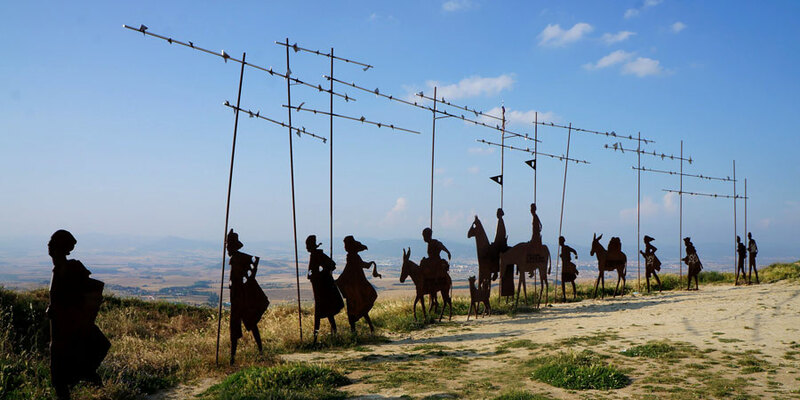 After the charming town of Ponferrada on the French Way Camino de Santiago route, as you leave El Bierzo behind and enter Galicia, you will reach the tiny mountain village of O Cebreiro. O Cebreiro is as special as it is small. Nestled, at 1,300 metres of altitude, between the mountain ranges of O Courel and Os Ancares, the village is home to traditional mountain dwellings of pre-Roman origin, called ‘pallozas’. These unique homes can only be found in this region of Galicia. Built in circular or oval shape, with granite or slate walls of up to 1.70 metres high and thatched roof, a ‘palloza’ is a great example of traditional houses of Celtic design, and give visitors a very unique insight into the lives of local residents back many centuries ago. es. 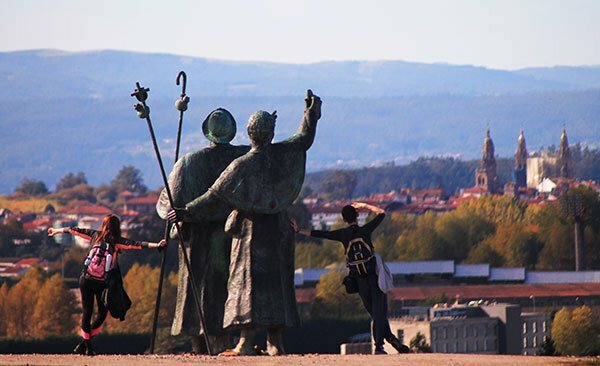 It was then the priest of O Cebreiro, Don Elías Valiña Sampedro, managed to obtain funding to promote the restoration of the church and village, building new houses for the locals, rehabilitating the ‘pallozas’ and turning one into a folk museum. Nine ‘pallozas’ are today preserved in O Cebreiro, four of them part of Galicia’s Cultural Council and operating as a fascinating ethnological museum. 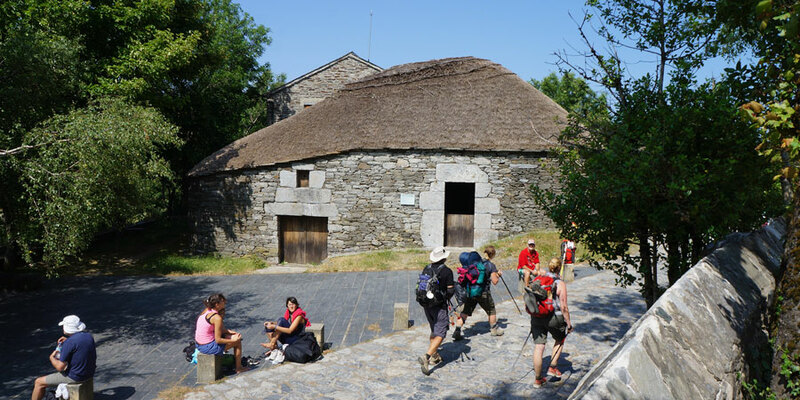 At the museum you can see a typical ‘palloza’, divided in three parts: a sleeping area for the heads of the family, a bigger area for general use focused around the hearth (‘lareira’ in Galician) and a third space for the livestock. Above that room for the cattle, straw would be kept and it would here where the rest of the family would sleep. At the museum you will also be able to see a collection of everyday objects and artefacts used in the region: from cradles to kitchen furniture, crockery, etc… You will really feel as if you were stepping back in time. Queixo do Cebreiro, the local soft creamy cheese, made using traditional artisan techniques, without artificial additives. Perfect with honey or a slice of quince jelly. 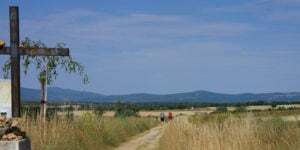 to Don Elías Valiña Sampedro, responsible for the rediscovery of the Camino de Santiago and O Cebreiro’s characteristic ‘pallozas’ and heritage. The Royal St. Mary’s Church, also known as the Church of St. Benedict, is the parish church built on the site of a 9th century sanctuary. Having fallen into disrepair, as much of the village, the church was rehabilitated in 1962. Early September (7th/8th) Romaría Virxe do Cebreiro dedicated to the patron saint of O Cebreiro. 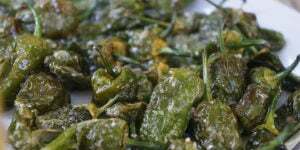 There is also an annual gastronomic festival dedicated to O Cebreiro cheese, taking place in April. 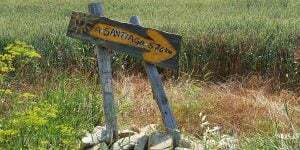 If you need more information or want to book your Camino de Santiago please contact our travel specialists. I am in trouble to find any information as well… What sort of festival is it? I understand O’Cebreiro has a festival in September, but have been unable to find any information online. Can you direct to a website that would provide some details?